When you’re visiting the North of India, it’s highly recommended that you include the Golden Triangle – Delhi, Agra and Jaipur. This article is all about Jaipur. For Delhi, visit the part-1 of this series, Golden Triangle of India : Delhi-Agra-Jaipur &#8211; Part-1 and for Agra, visit part-2 Golden Triangle of India : Delhi-Agra-Jaipur – Part-2. The sprawling Rajasthan desert beckons-with Jaipur, the Pink City. History interwoven in each breath, Jaipur is full of the remnants of past glory and the beginnings of future success. Palaces, forts, temples, gardens, crafts and pageantry charm visitors and describe India’s glorious history far better than words can. In Jaipur, it is highly recommended that you can see the City Palace, built by the Maharaja Swai Jai Singh and the official seat of the royal family after 1922. Now a fabulous museum, the City Palace, showcases a staggering collection of royal artifacts, history and memorabilia. You should also visit the Jantar Mantar, an observatory built by Sawai Jai Singh (similar to the one in Delhi). It is a collection of 19 architectural astronomical instruments. Amer fort is another must-see, a finely preserved bastion that served as the royal capital before the city of Jaipur was born. With several palaces, pavilions, gardens, temples and courts, Amer fort showcases royal life in the 10th century under the rule of Raja Man Singh. Visit the City Palace, a blend of Rajput and Mughal architecture, and see its many treasures. Stroll around the Jantar Mantar, an 18th century astronomical observatory. 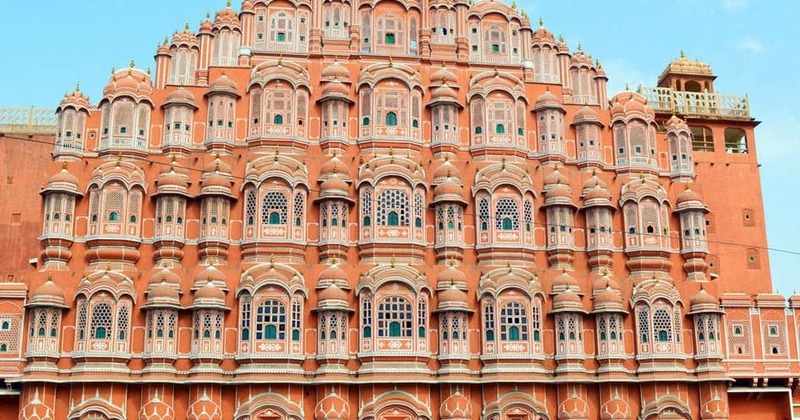 Marvel at the Hawa Mahal, an iconic Jaipur landmark, with its 152 windows an latticed balconies, designed to let royal ladies look out without being seem. The Jal Mahal is a small palace in the middle of Man Sagar Lake on the way to Amer. Beautiful and peaceful, it is accessible via a paved causeway. Visit Jaigarh Fort and see the world’s biggest cannon on wheels, the Jai Ban. The erstwhile capital, Amer, is a must see for its majesty and grandeur across the palace complex and the fort. Visit the Central Museum founded by Prince Albert in 1876, and see its rare collection of archaeological items and handicrafts. ← Shin-Chan – How he was born and died.